Your bedroom decorating ideas need to create a haven, your favorite, quiet, and comfortable place for rest. Your room decorating has to reflect your character and lifestyle, making your bedroom decor an extension of your personality. 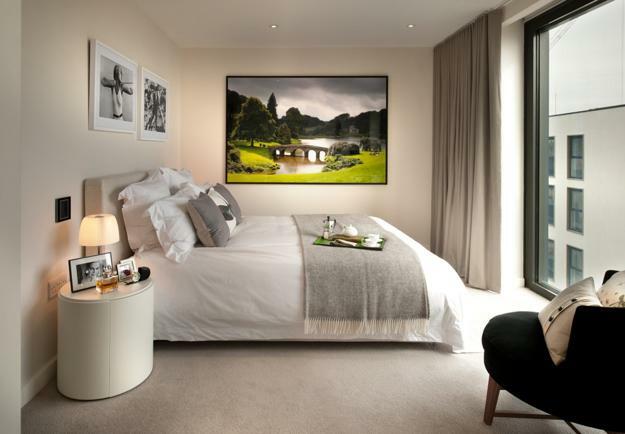 Photography art and paintings are an excellent way to give a personal touch to an interior design and enhance the style to bedroom decorating. 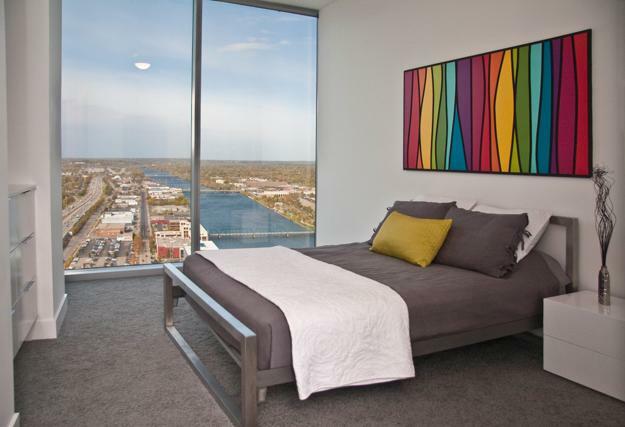 Paintings, photography art and prints make rooms look furnished and elegant. 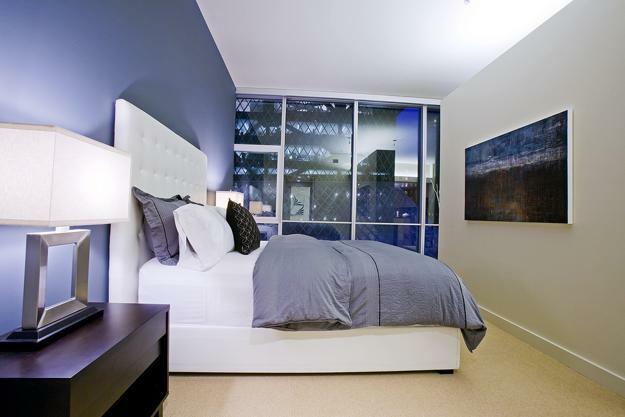 Paintings are perfect decor accessories for modern bedroom designs. They bring art into rooms and enhance a modern vibe in home interiors. Decor4all brings a collection of beautiful bedroom decorating ideas that demonstrate how to inject the elegance into bedrooms and emphasize the beauty with paintings on walls. 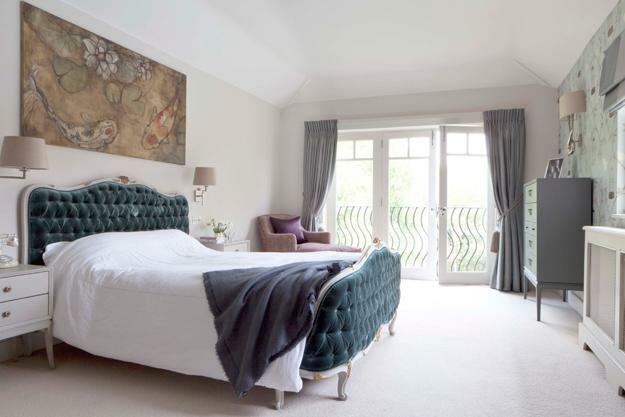 Paintings are fantastic accessories that enhance a quiet, restful atmosphere in spacious bedrooms and small spaces. 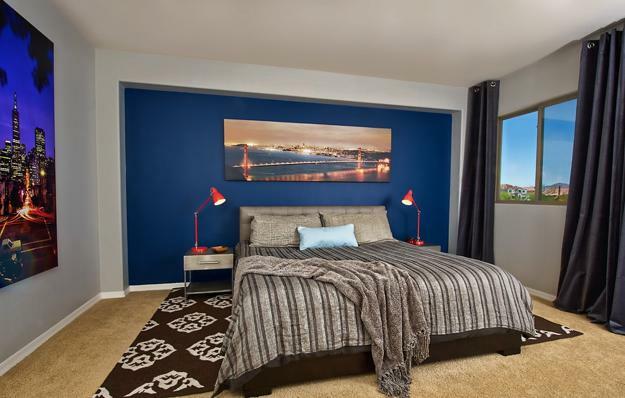 Well-planned bedroom layouts, combined with the right room colors and wall decorations, feel inviting and pleasant. 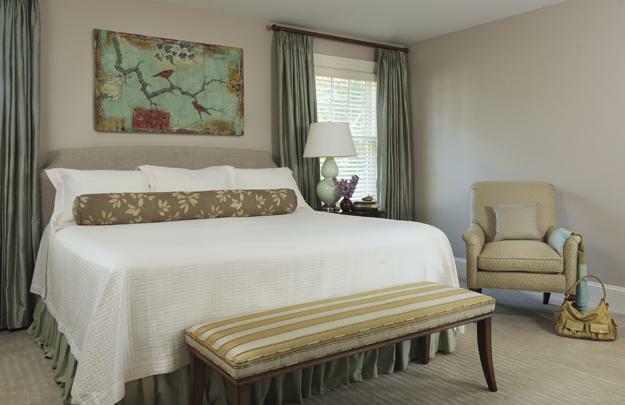 Beautiful and peaceful paintings on the walls influence the mood of individuals and change the atmosphere in bedrooms. 1. Select classic landscapes and still life paintings, photography and prints, peaceful scenes and romantic images for bedroom decorating. 2. Use contemporary picture frames for prints and paintings. 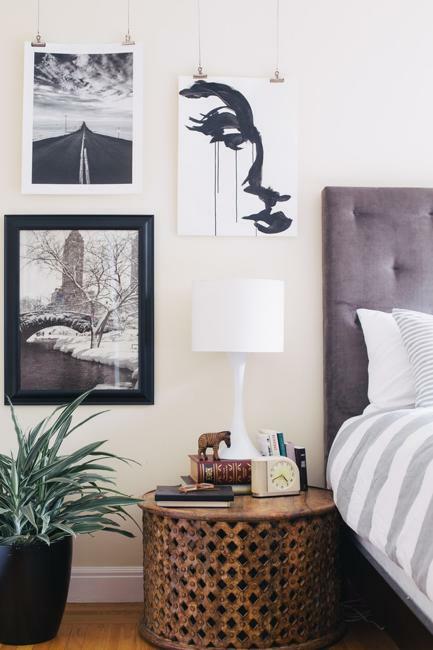 Minimalist style frames are handy for making small bedroom decorating feel airy and light. 3. 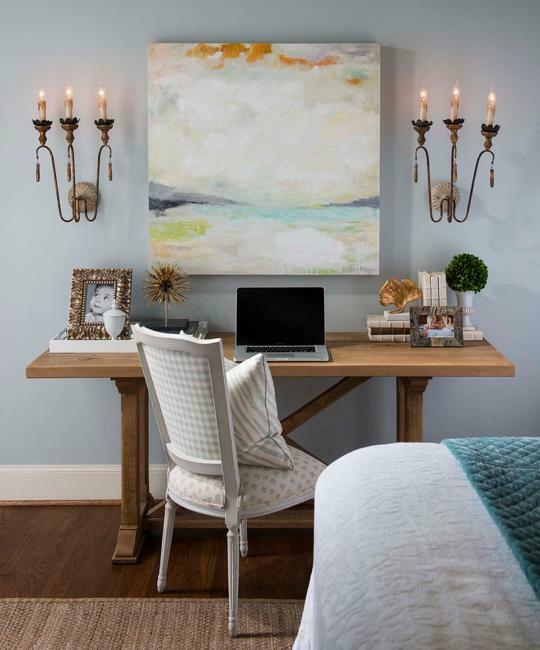 One single painting in a large size helps increase a small room visually. 4. 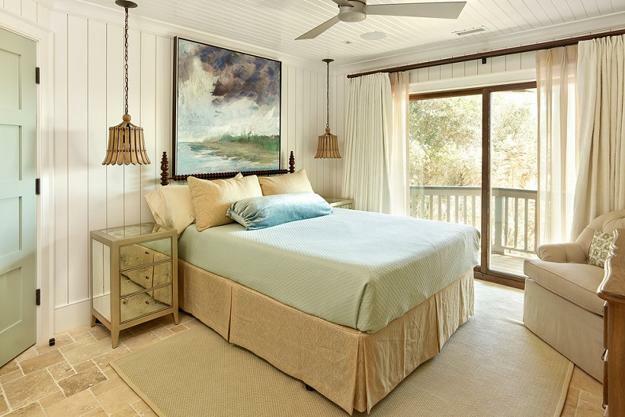 A large painting or print on the wall stretches a bed headboard visually and makes a small bedroom look vast. 5. 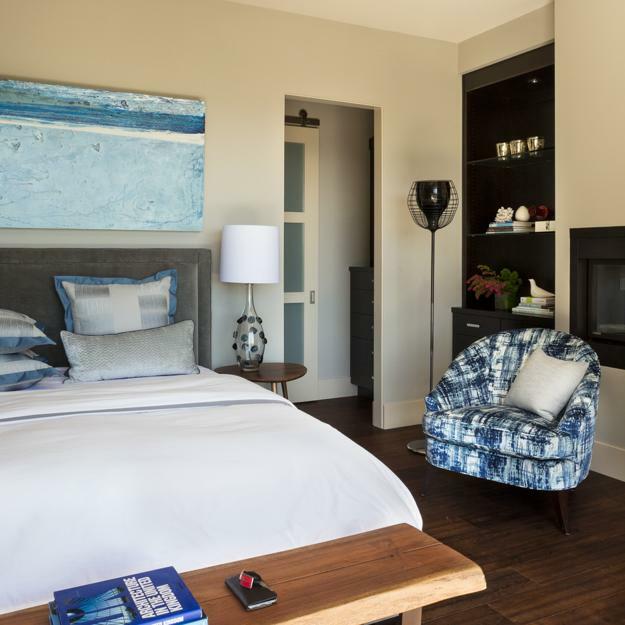 Placing a large painting or print on the wall opposite to a large bed headboard balanced bedroom decorating and add attractive symmetry to room design. 6. A large painting or print looks great on the wall opposite to a window. 7. 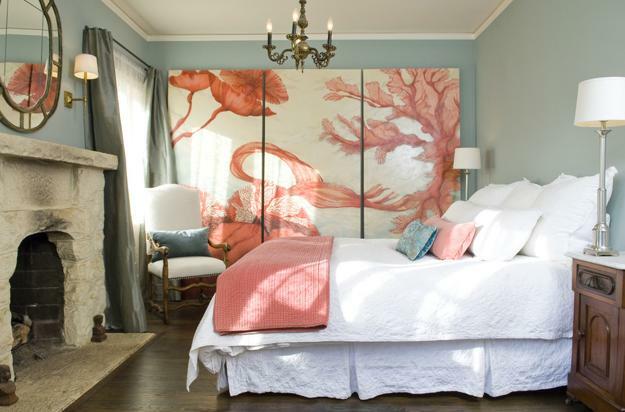 Paintings and prints in warm colors are the best wall decorations for bedrooms. 8. An animal theme, images of birds, plants and flowers are romantic and beautiful choices for bedroom decorating. 9. 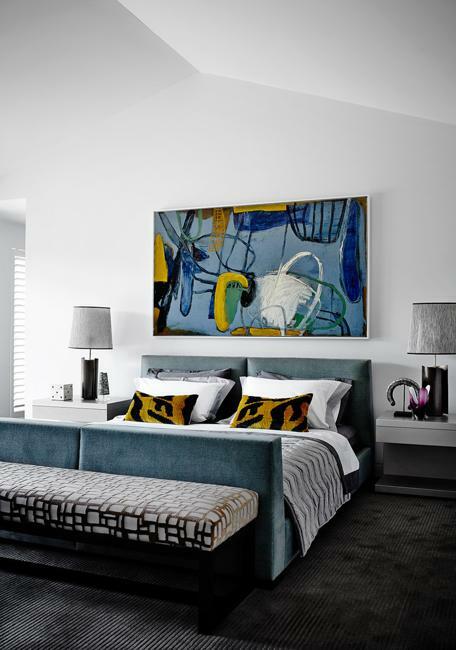 Abstract paintings and prints are perfect for contemporary bedroom designs. 10. 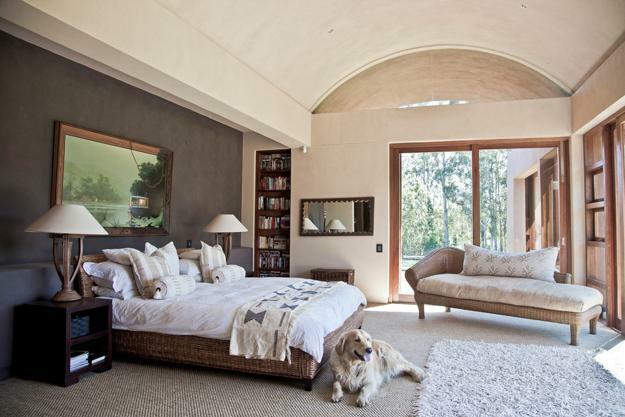 Panoramic landscapes and cityscapes look fantastic in small bedrooms, stretching small spaces visually. 11. Bedroom decorating with paintings in light colors looks especially interesting with accents walls painted dark or vibrant colors. 12. 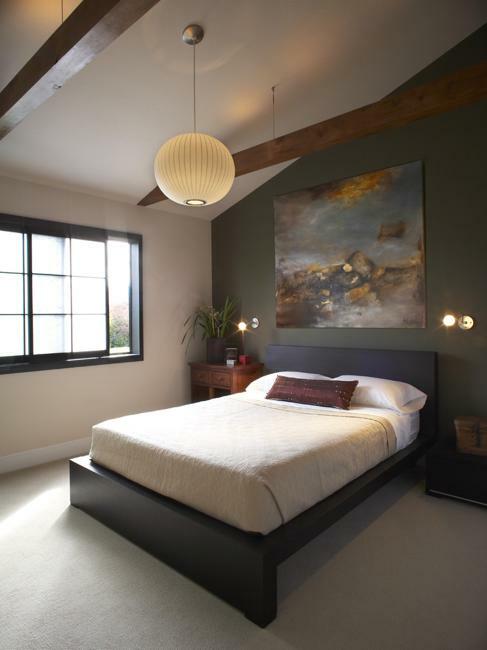 Oil and acrylic paintings add texture to modern bedroom decorating, but oil paints bring unpleasant smell into rooms. Watercolor paintings look soft and tender, offering fabulous wall decorations for bedrooms. 13. 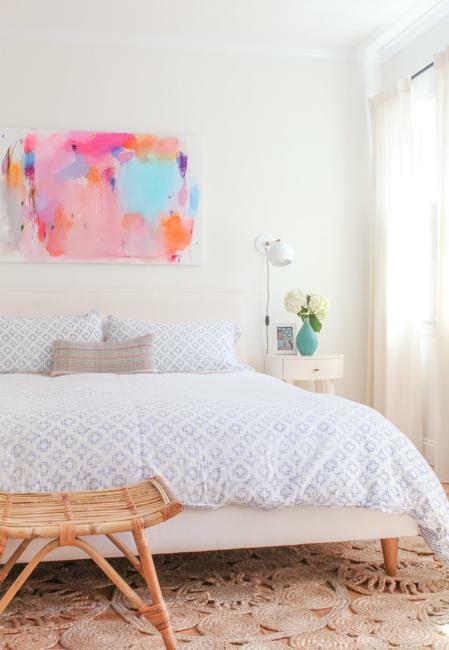 Paintings and prints in bright colors are ideal for bedroom decorating in neutral colors. 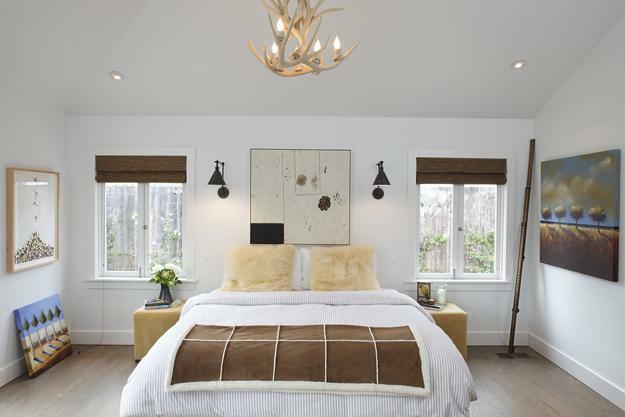 Artworks in neutral colors can calm down bedroom colors and harmonize bedroom designs. 14. Paintings and prints in contrasting colors matching bedroom decor hues emphasize peaceful and harmonious interior decorating. 15. Original artworks, super large paintings, and prints look interesting, unique and unusual, perfect for any modern bedroom decorating, vast and small rooms in any style.